In its twentieth edition, Mass Media Law comprehensively examines the principles of media law, First Amendment freedoms of speech, and press and assembly. This timely revised edition is extremely pertinent in this era of both “fake news” and open hostility by some politicians toward the press. Students are offered an updated look at the ever-changing landscape of media law. 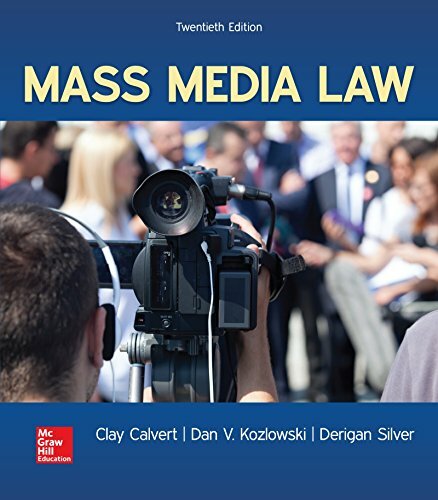 Led by a team of preeminent scholars in the field of mass media law: Clay Calvert, Dan Kozlowski and Derigan Silver, this new edition is engaging, readable, and entertaining. SmartBook® – an adaptive digital version of the course textbook that personalizes your reading experience based on how well you are learning the content.